The Lansing-based group, the Michigan Campaign Finance Network, sent out a new statement today, which documents how much was spent by lobbyist in Michigan for 2012. 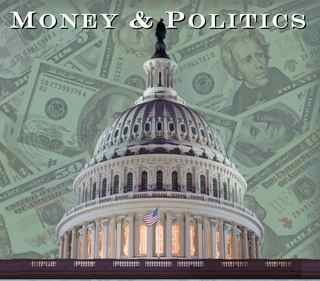 • Lobbyists didn’t have to name beneficiaries of their wining and dining unless their spending for an individual lobbyable official exceeded $57 in a month, or $350 for the calendar year. • Travel and accommodations didn’t have to be reported unless they exceeded $750 per instance of travel. • Gifts are banned, but tickets for entertainment valued at less than $57 aren’t considered to be gifts and, therefore, are allowed, though not reported. • Financial transactions between lobbyists and lobbyable officials, such as personal loans or sales of personal property, didn’t have to be reported unless they were valued at more than $1,150. Since expenditures to provide food and drink to groups of lobbyable officials, mainly legislators, amounted to $125,816 of the itemized expenditures, the failure to identify beneficiaries is much greater than gross figures suggest. Subtracting the $126,000 for group food from reported overall spending of $649,000, means that $523,000 was spent to entertain individuals. Just $68,000 of the $523,000 spent on individuals is tied to individual beneficiaries. That means 87 percent of all that was spent to entertain individual lobbyable officials apparently didn’t reach the reporting thresholds. Despite the very limited reporting of beneficiaries, 14 legislators managed to consume more than $1,000 worth of reported lobbyists’ hospitality. They are listed as members of the 2012 Silver Spoons Supper Club, attached to this news release. • Any financial transactions between a lobbyist and a lobbyable official, or a lobbyable official’s family member, should be reported from the first dollar. 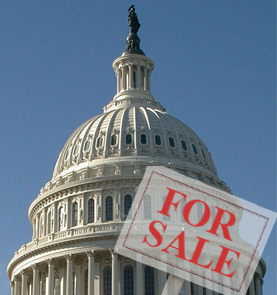 For a complete listing of the top 200 lobbyists in Michigan for 2012, click here.